Young squires often wear the colors of the knight they are training under as a sign of apprenticeship. Dress your young knight in the Youth Arthur Tabard and immerse them in a world where knights still ride atop their steeds! 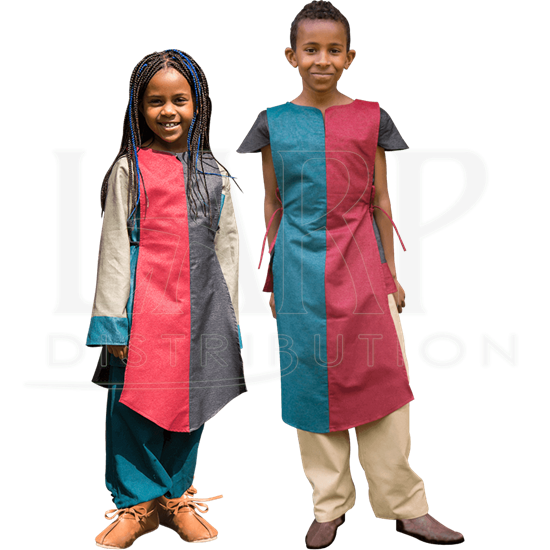 Handmade from high-quality fabric, this youths tabard is split down the middle by two colors, coming in black and red and blue and red. The tabard ties at the sides with strings, allowing your child to wear it over clothing, chainmail, armour, and more! 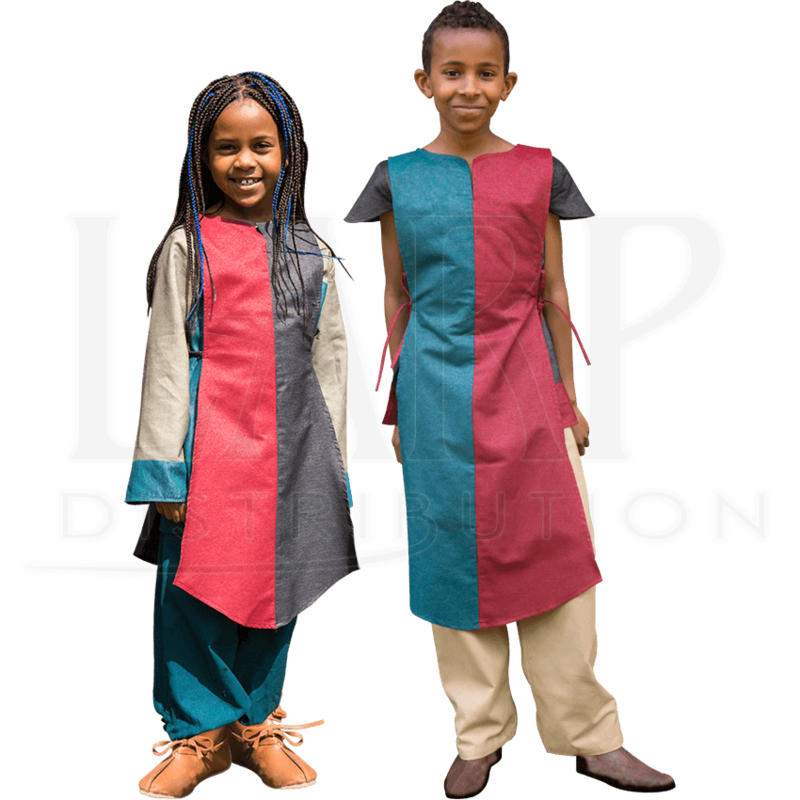 Enhance their LARPing or reenactment experience with this colorful tabard and watch their imaginations bloom!